There was a time when Nextel was considered to be an innovator in the mobile space, especially thanks to its push-to-talk "walkie-talkie" feature, but those days are over. Now the company, which was founded all the way back in 1987, will cease to exist as its last remaining division has been sold off. On Monday, Mexican telecom company America Movil announced that it has acquired Nextel Brazil for $905 million. The deal includes acquiring 70 percent of the company from from parent company NII Holdings, and the additional 30 percent from AI Brazil Holdings BV, making America Movil the sole owner of the company. 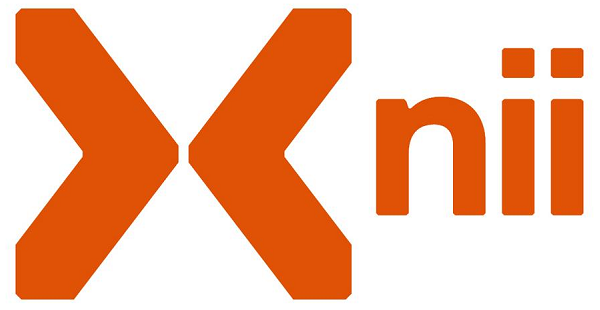 NII was originally the international division of Nextel Communications, but it spun out as a separate company before Nextel Communications' 2005 merger with Sprint. Since then, the company has struggled in a number of markets, selling off Nexttel Peru to Entel for $400 million in 2013, and selling Nextel Chile to Fucata in 2014. It has also declared bankruptcy twice since 2003. As Nextel Brazil is described in the announcement as "NII's sole remaining operating asset," NII plans to "dissolve and wind up" once the transaction is closed. There are a number of terms that have to be met for the deal to go through, including the approval of NII's stockholders, as well as regulatory and antitrust hurdles that will need to be gone through but, if the acquisition is completed, this will be the end of the Nextel brand, as Sprint shut down its Nextel network in the U.S. in 2013. The deal has already been approved by NII's Board of Directions who, "believe the transaction is in the best interest of NII's stockholders," Dan Freiman, NII's Chief Financial Officer, said in a statement. "The announcement of this transaction marks the culmination of an extensive multi-year process to pursue a strategic path for Nextel Brazil and provides our best opportunity to monetize our remaining operating assets in light of the competitive landscape in Brazil and long-term need to raise significant capital to fund business operations, debt service and capital expenditures necessary to remain competitive in the future," he said. In addition to the funding announcement, NII also revealed the results for its fourth quarter and full year 2018 on Monday. For the quarter, NII saw $142 million in revenue, and a consolidated operating loss of $10 million. For the full year, it saw revenues of $621 million, and a consolidated operating loss of $42 million. The company also saw its subcriber additions decrease by 6 percent quarter to quarter and 85 percent year to year. NII's stock has dropped 28.21 percent on Monday to $2.29 a share, while America Movil is up 1.89 percent to $14.82 a share. VatorNews has reached out to America Movil for comment on the acquisition. We will update this story if we learn more.